At the 2011 WWDC Apple made a point of demonstrating that for many of us, the PC is becoming a secondary device. Additionally, it is clear that we want our content experience to function across all the devices we are using. This doesn’t mean that they have to act the same on a mobile as on a desktop but it does mean one or the other shouldn’t be broken. Today I read a celebration of the death of the Flip Camera on Gizmodo. While its true that most people do not need one – your smart phone probably records better video with more “cool” options – there is a solid use for the Flip Cam in education and other settings that don’t have a phone option. Hmmph, some interesting statistics here about how much certain things have ‘improved’ and others deteriorated over the last 10 years. 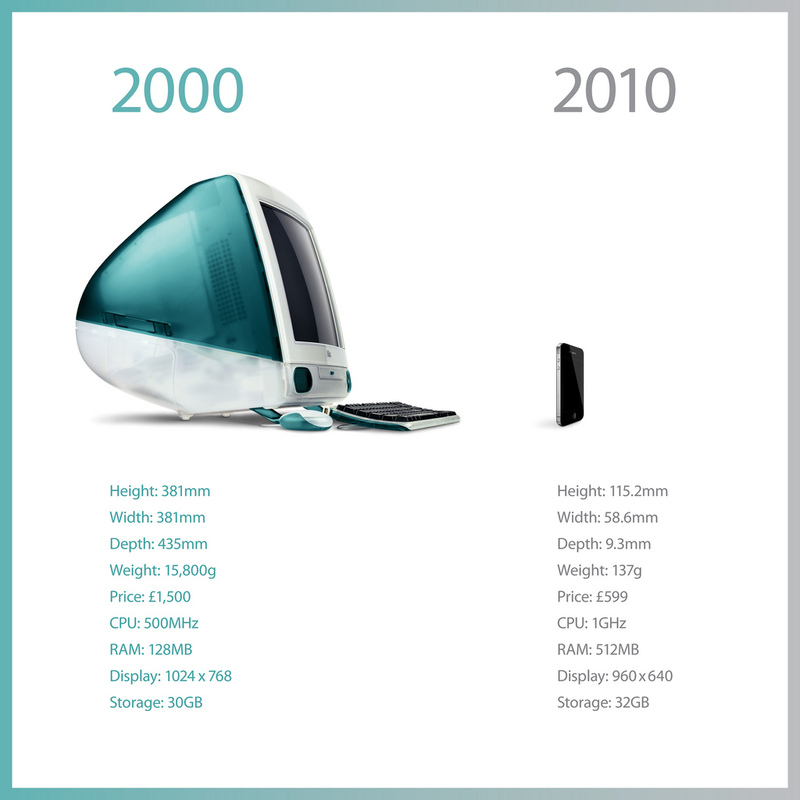 10 years ago my pocket wasn’t nearly big enough to carry an iMac around in. After spending 10 years looking for a bigger pocket, it would appear that technology has made this unnecessary. 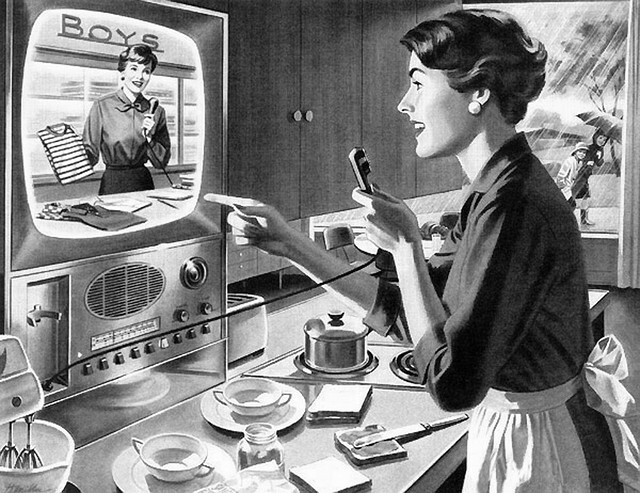 If technology continues to accelerate at current rates, future devices will either be so small and disposable they’ll be unrecognizable or I’ll have a CRAY super computer in my pocket. There are an awful lot of ‘infographics’ floating around the interwebs these days. It seems its all the rage and any one with two numbers and a couple circles thinks they are somehow adding value. This is not the case. However, here’s something cool - a free interactive way of playing with some very interesting stats about the world population, health, technical prowess, etc… I stumbled upon Gapminder.org via this article in The Economist about Hans Rosling’s new BBC TV show all about statistics. Boring right? Nope, just the opposite. Check out the included video to see the possibilities. Super cool. Finally got my virtual desktop hardware setup with the VM server. We have converted nearly all of our servers to a virtual environment already and are prepping to setup 200 virtual desktops. I’ll admit I’m a bit nervous about it but so far the experience is great. I have a 24″ Samsung nc240 connected to our VMWare host via PCoIP. The machine is wonderfully fast (faster than my new Mac Mini with 4 GB of RAM) and, so far, very stable. One of the primary reasons I bought the iPad was my addiction to The Economist. I had partially justified the purchase by canceling my print subscription under the assumption that reading it online would work out great on the iPad. That was only partially true. Reading the Web page was possible (I have an online subscription through work) but a pain in the rear at the same time. Finally, The Economist launched a true magazine app last week. 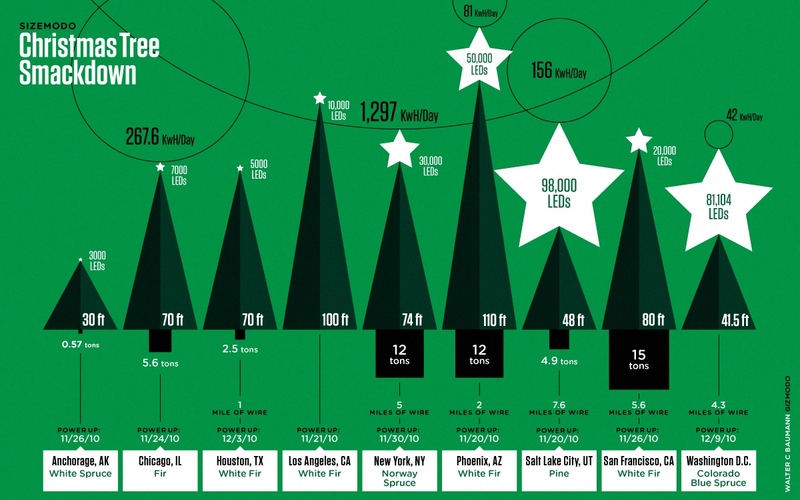 Just a fun comparison of the sizes of trees installed in major cities around the US. The graphic compares the type of tree, their height, weight, miles of wire, number of LED bulbs and power consumption for each. Sometimes I think my job is hard. At other times I realize how much pressure I’m not under. Well, at least I’m not the CIO for Spirit Airlines. 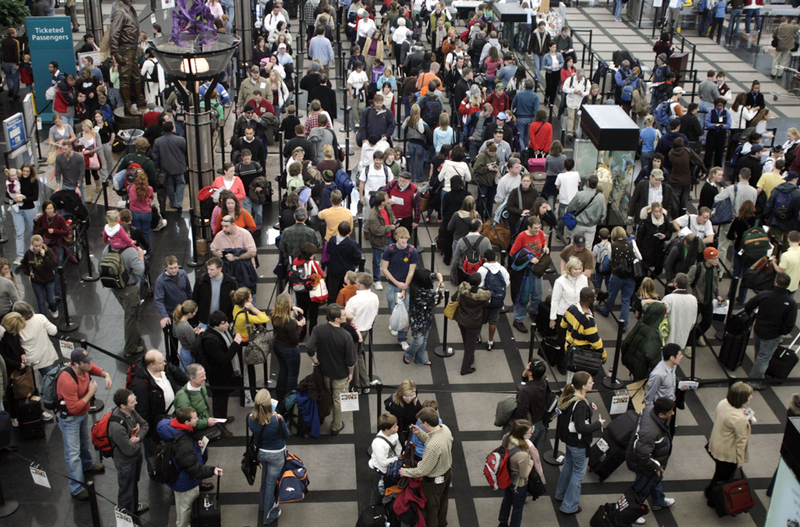 As of Wednesday morning Spirit Airlines has had a nationwide server crash causing even longer lines during the busiest travel weekend of the year. Maybe taking Exchange down for an hour on Sunday is so convenient after all.